Wherever you are, pay tribute to the Emerald Isle for St Patrick's day and wear these green and beautiful DIY Leprechaun, St. Paddy's Hat or Shamrock hair clip for tying back your hair on March 17. Print the St. Patrick's Day hair clip template on Cardstock paper. 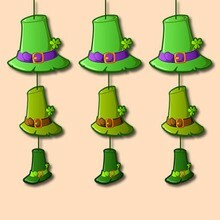 Cut the Leprechaun, St. Paddy's hat and Shamrock design out with your scissors. Place glue on the hair clip and paste the design of your choosing. 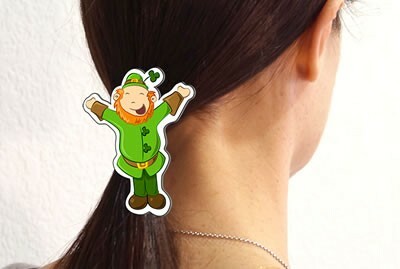 You are now ready to clip your special St. Patrick's Day hair accessory to your hair. The hair clips make great St. Patrick's Day gifts for all your friends and family to wear this Irish holiday!